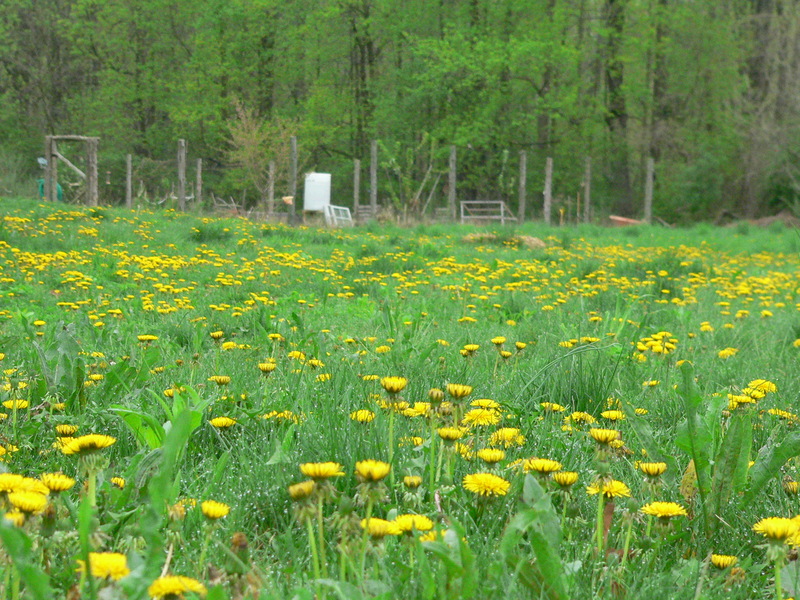 Our lawn is full of beautiful dandelions! We do not use any artificial chemicals on our lawn and were trying to grow an “Eco-lawn” with fine fescues that have long roots and grow slowly. Unfortunately it wasn’t started in the right season (late Spring instead of Fall) and didn’t quite turn into the unnatural monocluture as it was supposed to be. It pains me to spend time and money on the lawn since it is completely non-productive. I do find it weird that we have to have this monoculture of grass – everywhere else we love flowers, so why not in the lawn? They provide food for the insects and habitat. Quick update – they do look pretty ugly once they have turned to seed and it has blown away! Must keep perspective though – diversity is always better isn’t it?